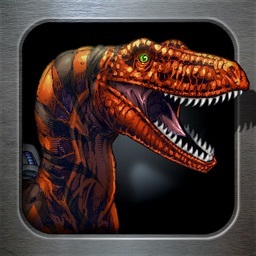 Nanosaur 2 by Pangea Software, Inc.
• SINGLE OR MULTIPLAYER MODES! 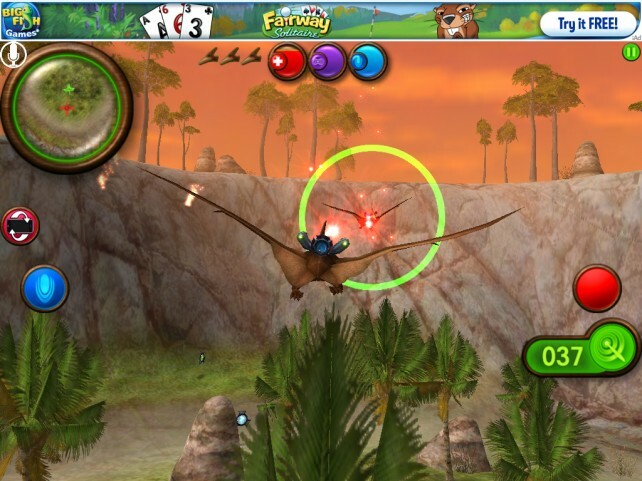 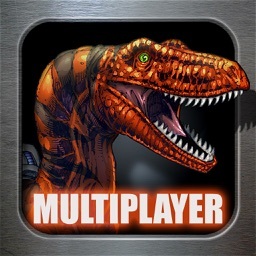 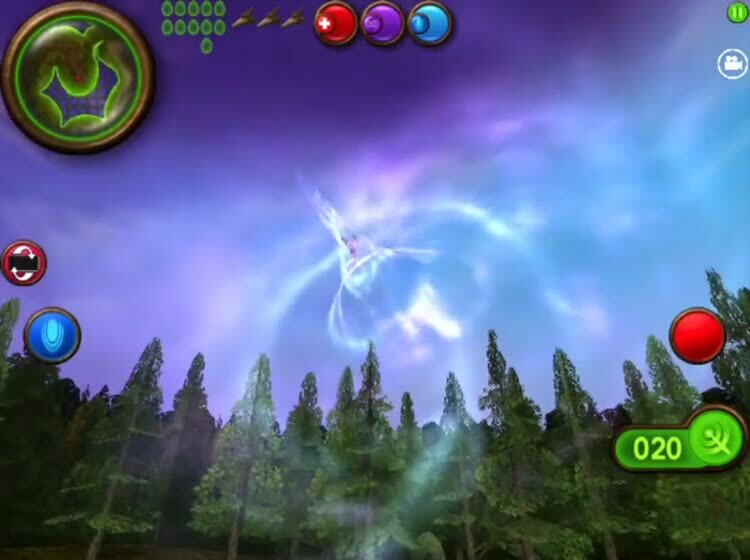 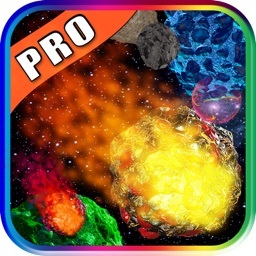 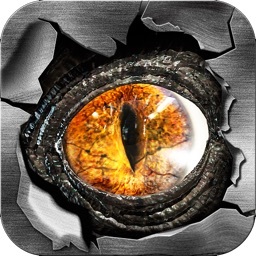 • NOMINATED FOR "BEST APP EVER AWARDS"
Nanosaur 2 will blow your mind as you blow things up! 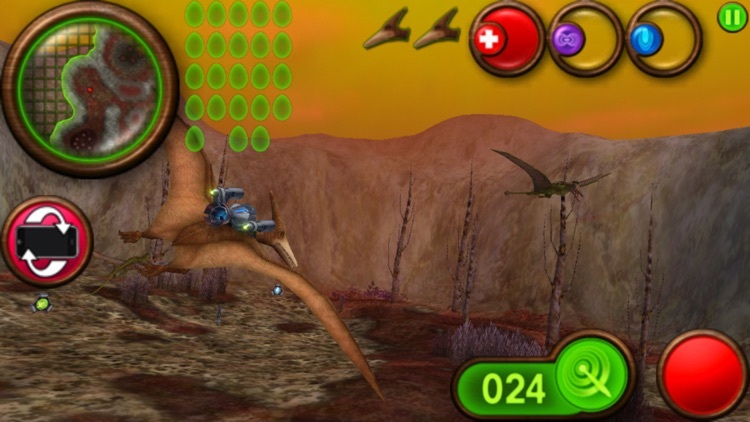 Pilot a flying dinosaur from the future who is equipped with massive firepower! 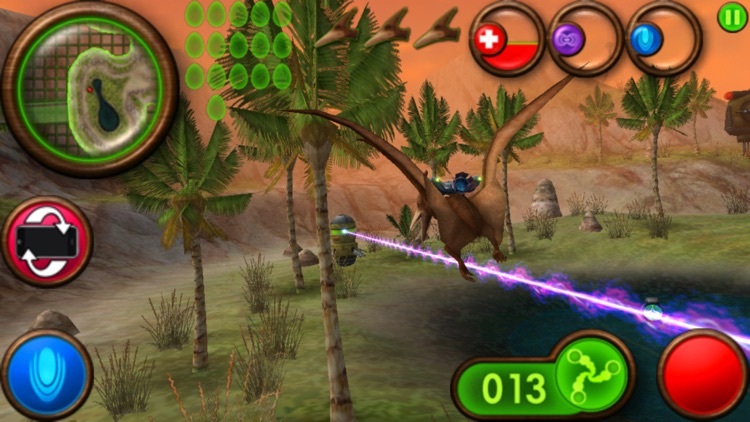 Your goal is to find and retrieve the missing dinosaur eggs, and to do that you'll have to blow up a whole lotta stuff! 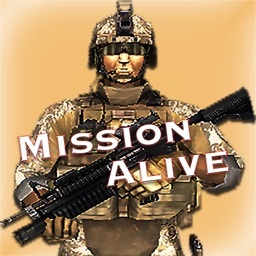 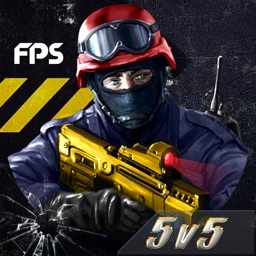 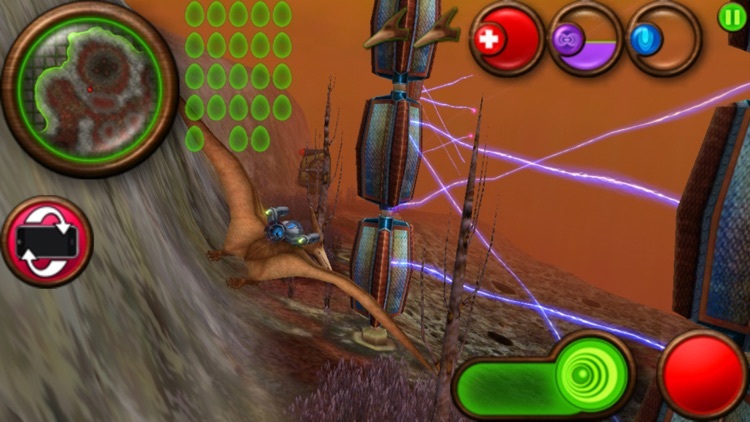 You'll battle other Nanosaurs and their defense systems, and collect powerups which give you a large array of weaponry ranging from heat seeking missiles to cluster bombs. 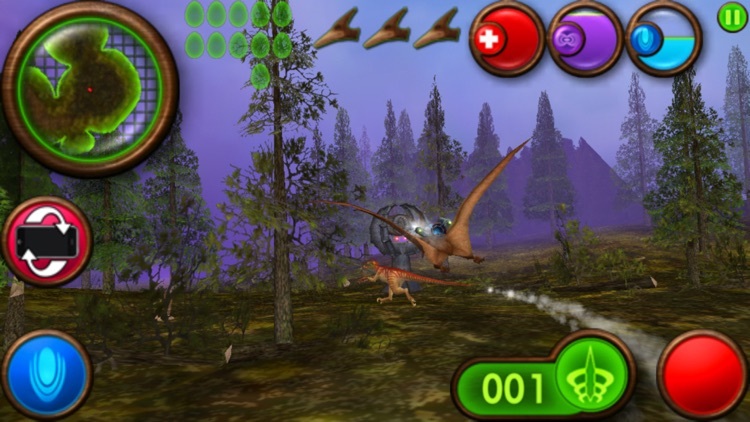 It's a dinosaur flight simulator! 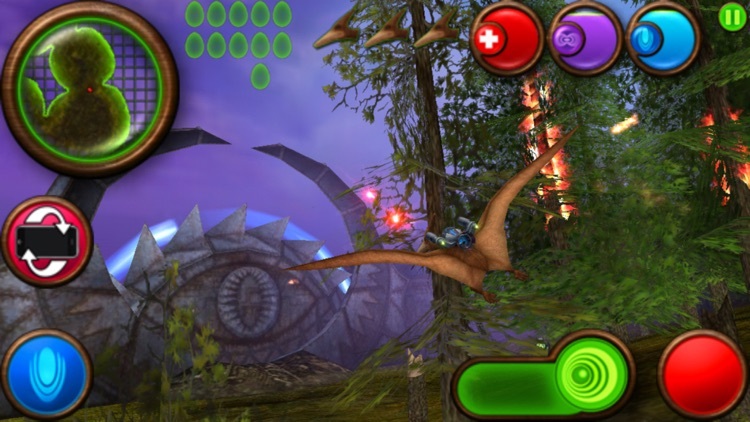 With the success of Nanosaur 2 and Air Wings, Pangea has decided to release Nanosaur 2: Battle, a multiplayer-only free version of their popular futuristic dinosaur game.